A plain statement of the material facts pertaining to the most famous crime of the century, including the story of the arrest and preliminary trial of Miss Lizzie Borden and a full report of the Superior Court trial, compiled from official sources. 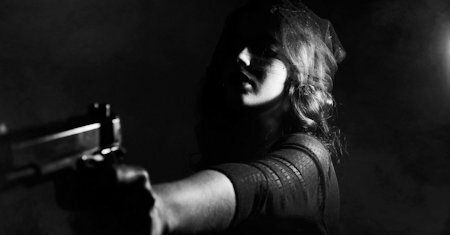 DeConde delves into the myths and politics regarding gun keeping, as well as the controversies over gun use, crime, and policing. He explains why the US fails repeatedly to confine gun violence to the same low levels achieved by other democracies. Through studies of beheaded traitors, smugglers hung in chains, suicides subjected to the surgeon's knife in Dresden and the burial of executed Nazi war criminals, this volume provides a fresh perspective on the history of capital punishment. Grappling with uncertainties is at the heart of investigating serious crime. At a time when such crime is becoming more complex, this book draws together research perspectives to review approaches to uncertainties and to chart the way forward. This book is the study of the history of criminal homicide in America, reaching from precolonial times to the age of the O. J. Simpson trial. Roger Lane provides this much-needed overview of the history of murder and our culture's responses to it. I shall confine myself in these pages to facts and personal experiences. I will show that any person of average intelligence, and who will use good common sense, can become a successful detective, regardless of his present or previous occupation. This book is about two aspects of American society: the high crime rate and the changes that are occurring in the family. Social scientists have looked at limited aspects of how crime and the family are related to each other. Ferri focused on the study of psychological characteristics, which he believed accounted for the development of crime in an individual. These characteristics included slang, handwriting, secret symbols, literature, art, and moral insensibility. From the table of contents: Introduction; Cyber Crime Defined; Cyber Crime Cases; Child Grooming Case; Crime Protection; Corporate Reputation; Knowledge Management; Intelligence Strategy; Crime Investigations; References. There are enough people in prison in these United States to furnish a citizenship to a considerable territory, or to populate a good-sized city. For the psychological student, they form the most interesting of all objects of study. Fatal Flaw examines an unsolved murder of four that occurred on Christmas Eve, 1975, at a furniture shop. The person convicted of the murders remains on Death Row despite evidence that emerged post-trial that casts doubt on his guilt. Readers of Charles Dickens must have remarked the deep interest he took in that grim accessory to civilization, the prison. He not only went jail hunting whenever opportunity offered, but made a profound study of the rules of these institutions. This book is a must-read for any person seriously interested in criminology, because it presents complete compilations of studies on relationships between criminals and the rest of society. William Morrison was a criminologist and prison chaplain. This book comes from the experience of more than forty years spent in court. Aside from the practice of my profession, the topics I have treated are such as have always held my interest and inspired a taste for books that discuss the human machine. The book shows how Islamic extremists in the UK have established dedicated websites in order to circumvent anti-terrorism measures. The report catalogues the content of these websites and analyses how extremists use these sites to spread their ideas. Greed, lust, idleness, anger, hatred, revenge, these are the chief causes of crime. These passions and desires are shared by rich and poor alike, by the educated and uneducated. They are inherent in human nature; the germ is in every man. This report presents the research of the involvement of organized crime and terrorist groups in counterfeiting products ranging from watches to computer software. It presents detailed case studies in one area of counterfeiting, film piracy. The book prepares you for an analytic role as a key member of a problem-solving team. It provides you with a basic knowledge of problem-oriented policing and the related fields of environmental criminology and situational crime prevention.